Motaquip has selected Adding Value to provide a reward trip for its top performers following a four-way pitch. The car component supplier, which is part of the PSA Peugeot Citroen group of companies, has chosen Adding Value to produce a four-day event for 44 delegates. The month-long pitch process saw Adding Value put forward a series of destinations in Europe, including Valencia in Spain and Sintra in Portugal. The incumbent agency was BI. Adding Value will attend a site inspection with the client this month and the incentive is expected to occur in May 2011. Louise Dowling, dealer events and incentives manager, said: "We chose to work with Adding Value on this high-profile event for Motaquip, not only because of its great track record in producing such events, but also because of the really creative ideas we received from it. 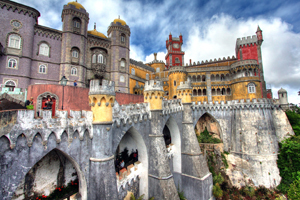 We were enchanted by the proposal on Sintra and are looking forward to our site inspection and discovering more about this area of Portugal." Adding Value managing director Tina Morris said: "We are delighted to be working with a new client and look forward to developing the relationship."